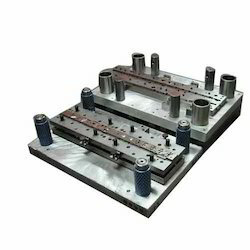 At our tool room, we offer designing and manufacture, export and supply of Press Tools for sheet metal pressings. We offer precise tools ranging from a simple tool to progressive and combination tools to carry out operations like punching, blanking, bending, lancing, flaring, drawing, deep-drawing, trimming etc. These parts are available to clients at leading market prices within the specified time period. 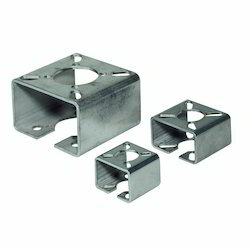 Being the foremost names in the industry, we are engaged in offering an exclusive collection of Mounting Bracket to our honored customers. Looking for Press Tools ?